Let's face it -- we're all busy. Life is hectic. You've got a job, school, a family, meals to cook, a house to clean, and a mountain of laundry that isn't getting any smaller. So mix all of that together, and we often find ourselves so overwhelmed with "have to" things that we never get around to our "want to" list. Unfortunately, our spiritual studies often get pushed to the bottom of our "want to" list. Next thing you know, six months have gone by and you haven't done a single ritual that you wanted to do, there's a stack of books gathering dust under your bed, and you're wondering if you can really call yourself Wiccan or Pagan if you're too busy to practice. Here's the thing. You can make time for your spiritual studies, for magic, for ritual. You just have to remind yourself that it's as important as all of that other stuff. 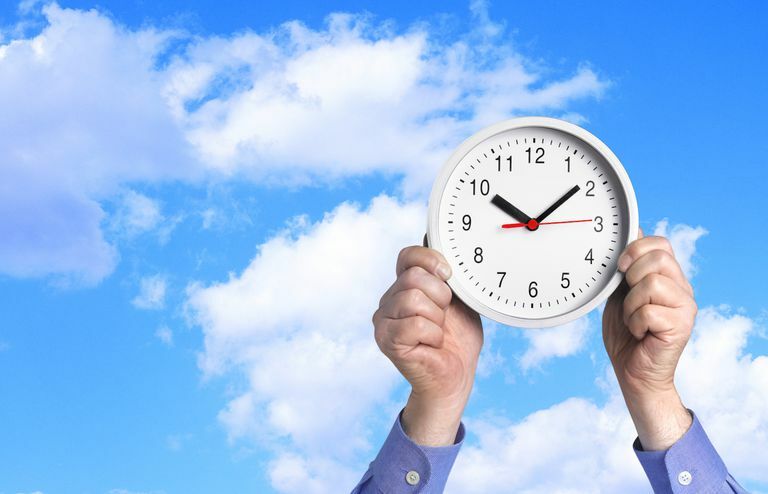 If you can learn to manage your time more efficiently, you'll be able to get more done -- and that, in turn, will make you feel like a far more productive person. Once you can get your mundane tasks completed, you'll have more time for the magical aspect of your life. First, before you can figure out how to allocate your time, you'll need to figure out where you're already spending it. Do you feel like you're always busy, but you can't seem to get a project finished? Make a list of all the things you do in a day, and how long you spend on them. A spreadsheet actually works really well for this. Do this for a week or two. By the time you finish, you should have a pretty good idea of where you're spending those twenty-four hours in your day. Are you wasting a couple of hours surfing the Internet and chatting with friends? Did you watch seventeen hours of soap operas last week? By determining how you currently spend your time, you'll be able to make the necessary changes. Next, you'll want to figure out if any of the things you're spending time on can be cut back. Are you at the grocery store seven days a week? Try to scale it back to three visits, or even two. Do you spend time watching shows on television that you've already seen? Cut back on the extra stuff. Here's a tip - if you enjoy an hour-long television show, by recording it you can cut your viewing time down to 45 minutes, because you can skip over the commercials. Now, you need to set some priorities. Make a list of things you need and want to do. Figure out which ones are high priority -- those are the ones that have to get done today, no matter what. Then determine which things you *should* do today, but it's not a huge crisis if you don't. Finally, figure out if there's anything that you can hold off on until tomorrow if necessary. Remember, your spiritual needs are just as important as your physical and financial ones, so don't just shove "full moon ritual" to the bottom of the page if it's something you really would like to do. Finally, make a schedule for yourself. Some stuff you've got to do, and there's no avoiding it -- work, sleep, and eating are unavoidable. However, when you're not doing those "have to" things, you can get a lot of other things done. Plan ahead so that you can get things done in a reasonable amount of time. If you know you want to read a book and finish it by the weekend, then look at your daily routine and figure out where you can squeeze in time to open that book. Otherwise, it's not going to happen. If it helps, write it down on your schedule, and then when it's time for you to read, tell everyone else in the house, "Okay, guys, this is my study time. I need you to leave me alone for about an hour. Thanks!" In addition to scheduling, it helps tremendously to build a daily plan for studying. Incorporate this into your time management strategy, and you'll find you have a lot more room to do the things you want to do, and you'll be spending less time on the stuff you have to do. If Pagan Magic Is Real, Why Doesn't Everyone Do It? What is an Altar, and How Do You Set One Up, Anyway? What Do We Mean By Magical Binding?